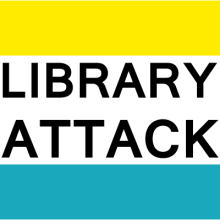 Curriculum Vitae – Library Attack! Research: Provide reference and research assistance to Institute of Transportation Studies (ITS) students and research staff throughout California, including in-person and virtual reference. Conduct investigations for Caltrans of possible research topics to assess the state of the practice and current research needs. Provide research and reference assistance to public employees in California though the TechTransfer program. Offer one-on-one bibliographic instruction and the fundamentals of transportation research. Instruction and Outreach: Support syllabuses and reading lists for transportation engineering and planning courses at the different ITS campuses (UC Berkeley, UC Davis, UC Irvine, andUCLA). Offer instruction and tutorials on research tools, such as TRIS, Zotero and Google Scholar. Collections: Comprehensively realigned the collection to meet the current needs and scope of ITS research and instruction, which included weeding roughly 20% and selecting 60% of the remaining collection to be moved into storage, leaving the most used and most relevant material more accessible in the redesigned reading room. Coordinated collection clean-up project to barcode the rest of the physical collection and update library holdings. Develops the transportation collection of the library to meet the needs of our academic researchers and practitioners in the field. Evaluate specific journals and conference proceedings for inclusion in our collection. Library Management: Reorganized collections and support space to accommodate the changes in library facilities. Coordinated and supervised moving a significant portion of physical collection to onsite storage. Redesigned the reading room to work as a collaborative research space. Manages circulation and oversees student employees for daily functions as well as special projects, such as barcode reclamation. Web Resources: Designed and update the ITS Library website, making it a research tool that also promotes current trends in transportation engineering and planning relevant to ITS. Maintain the library’s presence on different social media platforms, such as Twitter and Facebook. Developed MashTrans.org as a “good practices” for Web 2.0 and social media for transportation organizations. Metadata Management: Index articles from journals and conference proceedings for TRIS. Help improve and maintain the Transportation Research Thesaurus (TRT). Work towards broadening the use of the TRT for applications outside of TRIS and other article databases to include data catalogs and websites to improve access to transportation information across organizations. Maintains and rehabilitates records for the library’s collection in Millennium, including serials management. “Building Your Professional Network in 140 Characters or Less: How Social Media Tools Can Enhance Professional Networking” (January 2012) Transportation Research Board 91st Annual Meeting. “Drupal vs. WordPress vs. Joomla Smackdown” (October 2011) with Blake Carver, Internet Librarian, Monterey, CA. “The Right Tool For the Job? : Google Alerts, Blogsearch, and Custom Search” (January 2011) Transportation Research Board 90th Annual Meeting. “Data – What’s that? : A brief introduction to the complex relationship of data, researchers, and libraries. (June 2010) Government Transportation Research Information Committee (GTRIC), part of the SLA 2010 Annual Conference, New Orleans LA. “Knowledge Is Power: How TRB’s Databases Improve Access to Transportation” (April 2010) Transportation Research Board Webinar with Rita Evans, Barbara Post, Susan Sillick, and Ken Winter. “Twitter for Transportation: Effective Uses of Twitter for Transportation Information, News, and Building Communities” (January 2010) Transportation Research Board 89th Annual Meeting. “MashTrans.Org: How and why to use Web 2.0 in Transportation” (January 2010) Transportation Research Board 89th Annual Meeting. “MashTrans and 7 Things: How Transportation Libraries and agencies use Web 2.0 tools to save money and be more effective.” (October 2009) Internet Librarian, Monterey, CA. “Cloudy with a Chance of Awesomesauce” with Amy Buckland and Laura Harris. (October 2009) Internet Librarian, Monterey, CA. “Digital Natives and Digital Immigrants: The digital divide?” (October 2009) Internet Librarian Pre-conference Workshop with Rudy Leon, Monterey, CA. “OPALescence 2009” (August 2009) Facilitated an online unconference session. “SLA TRAN 7 Things” (June 2009) Presenting the Transportation Division’s 7 Things (23 Things style learning) at the SLA Annual Conference, Washing D.C.
“GTRIC 2009” (June 2009) Facilitated the Transportation Division’s day long pre-conference at the SLA Annual Conference. “MashTrans.org:Transportation information for moderns: Using Web 2.0 tools and applications to get people moving in the right direction” (January 2009) 89th Transportation Research Board Annual Meeting. As a volunteer I maintain a collection of 94,000 records, CDs, and 7″s. Supervise a crew of volunteers to help process and label new music to be added to the library. Handled a major reflow of the library. Working on cleaning up existing issues to prepare a the whole library for barcoding.